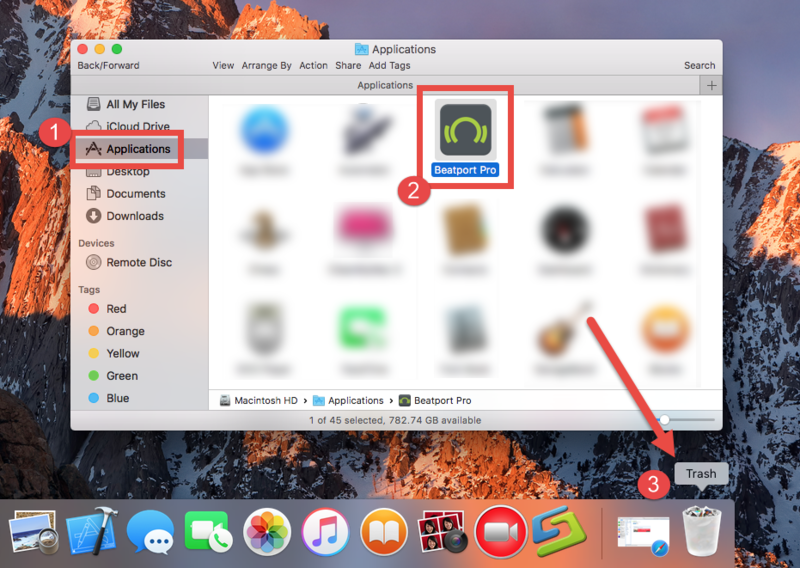 The installation of Beatport Pro only takes a few clicks to complete, yet if you want to uninstall it, it is not enough to delete the app itself from the Applications folder, because some of its components may linger around your system. 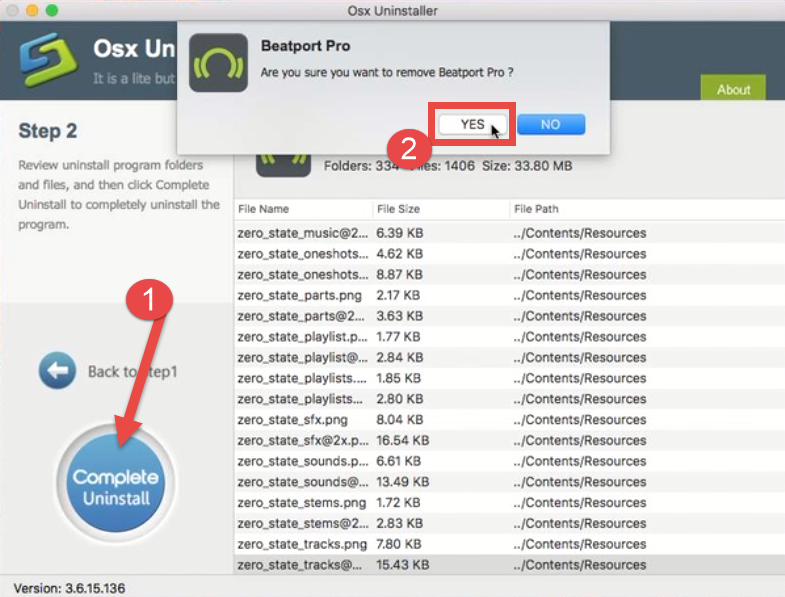 Don’t know the proper steps to effectively uninstall Beatport Pro from your Mac? Check out this tutorial to know the exact ways of uninstalling unneeded software from macOS. 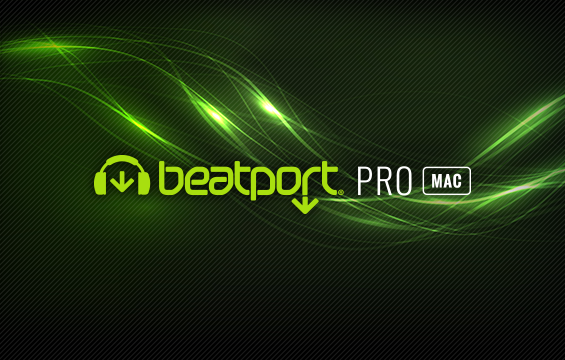 Beatport Pro for Mac is an electronic online music store owned by LiveStyle. Mainly oriented towards DJs, this software sells songs as well as resources that can be used for remixes, meanwhile it provides lots of tagging and filtering features. Users can purchase and download music in premium digital formats from the online music store. Pre-uninstallation: If Beatport Pro is currently running, make sure to quit all its processes first. 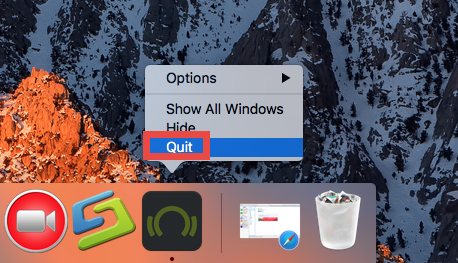 To do so, you can either right click its icon on the Dock and choose Quite, or head to the [app name] in the Menu bar and choose Quit [app name]. Besides, if the target app fails to quit by that way, you can launch the Activity Monitor (located in /Applications/Utilities folder) and force quit Beatport Pro there. Open up Activity Monitor from the Dock, Finder, Launchpad or Spotlight. Type Beatport Pro in the search box, then select it, click on (X) icon, and hit Quit. 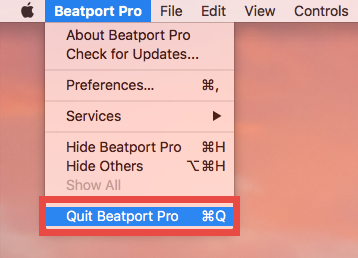 As Beatport Pro has been stopped from running, you can choose one of the methods listed below to thoroughly uninstall and remove Beatport Pro from Mac computer. Failed to uninstall Beatport Pro completely? Have no idea how to delete possible leftovers? Looking for an automated solution to tackle the removal at ease? A reputable uninstaller could be a good helper to solve these issues. 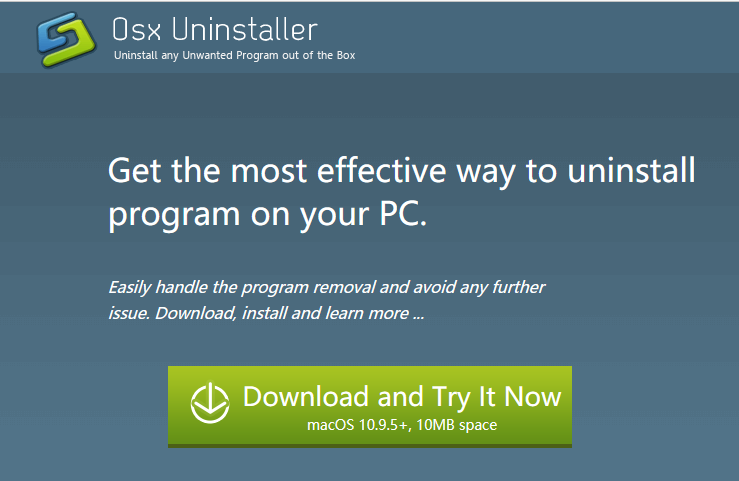 Among numerous tools that help uninstall Mac apps, Osx Uninstaller stands out as a professional and handy utility. 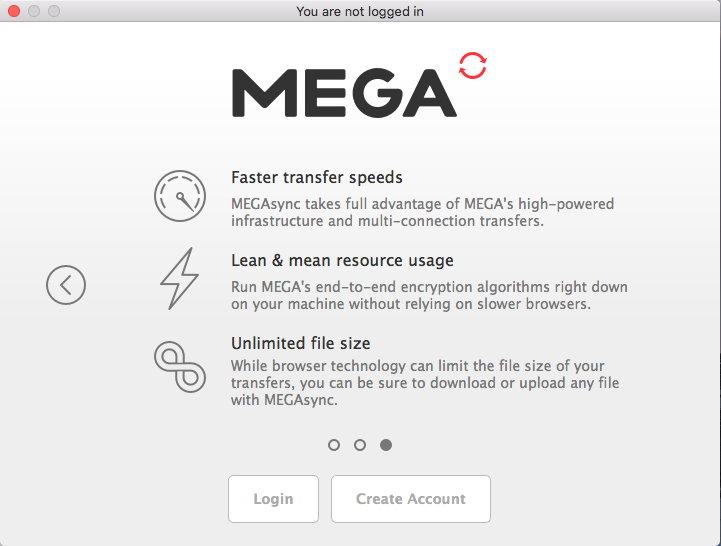 It is designed to assist all-level users in deleting any unwanted, problematic or malicious apps as well as potential app remnants, within simple clicks. Step 1. 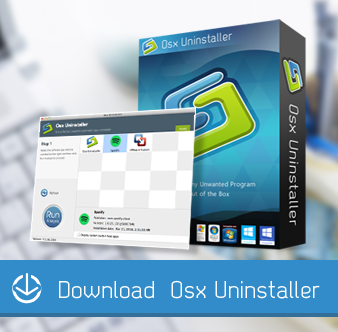 Download Osx Uninstaller and install it to the Application folder. Step 2. 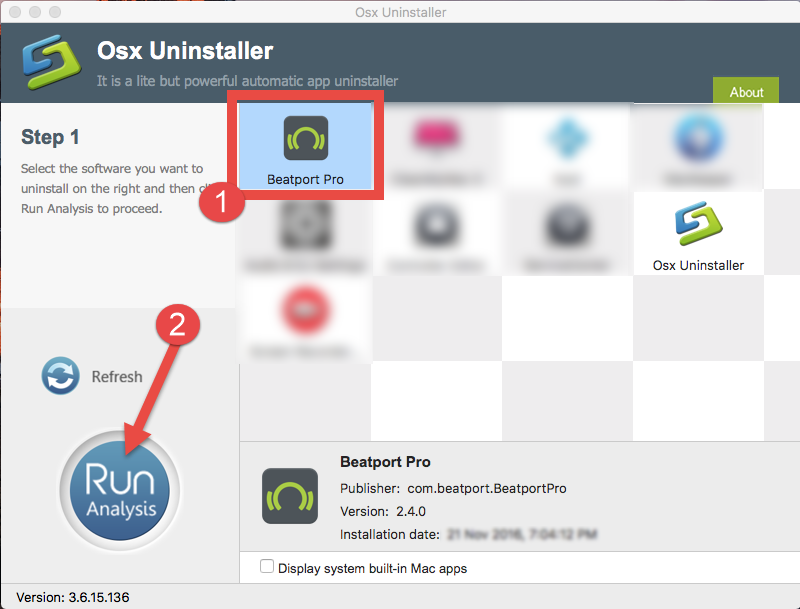 Launch Osx Uninstaller, select Beatport Pro, and then click Run Analysis. Step 3. Click Complete Uninstall, and then click Yes to conduct the deletion. Step 4. Click Back to Interface to re-scan your Mac for currently installed apps. 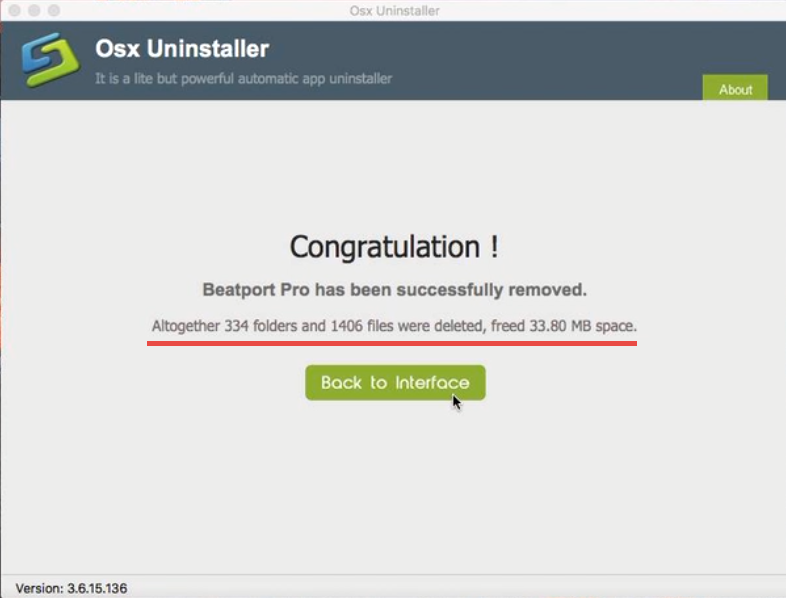 In our test, Osx Uninstaller guarantees a clean, thorough uninstallation of Beatport Pro. No trace left, and no extra work needed to do. So, why not give it a try now? 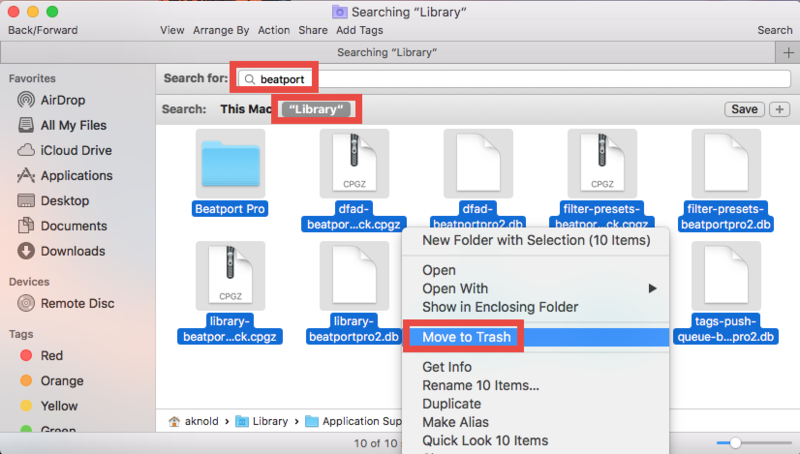 The video clip shows how fast and easy you can get rid of Beatport Pro for Mac. Yet if you insist on uninstalling Beatport Pro without third party tool, you can adopt the regular means to get the job done as well. Let’s continue reading the next section. 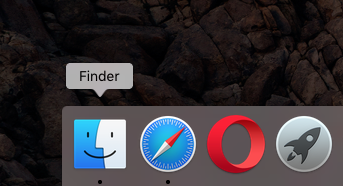 Launch the Finder and click Applications on the left sidebar to open up the folder. 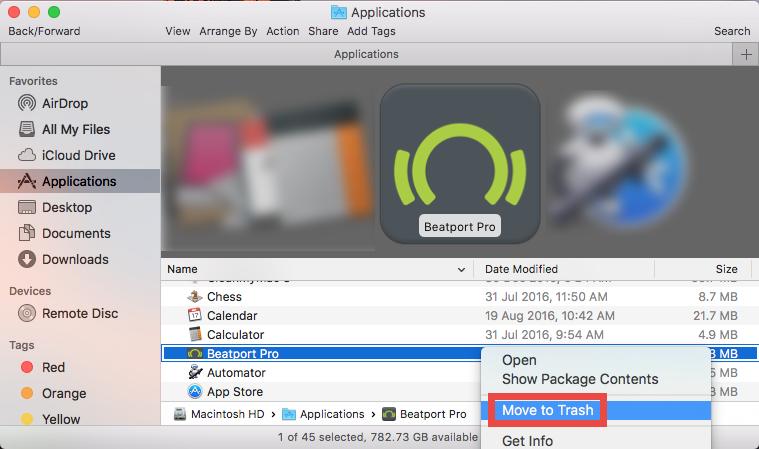 Locate Beatport Pro, drag its icon with your mouse and drop it to the Trash. When prompted, enter the current admin account password to allow this change. The drag-to-delete method works for almost all apps in all versions of Mac OS X. You can also move the app to the Trash by these ways: (1) right click on the app and choose Move to Trash option; (2) select the app, and go to File > Move to Trash. 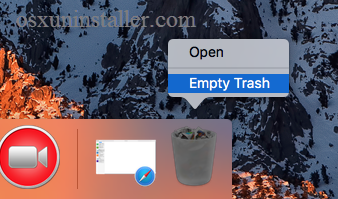 If you cannot move the app to the Trash, reboot your Mac and then uninstall it again. Generally the app will be removed instantly from sight and appear in the Trash. Then you need to empty the Trash to perform the uninstall (we can do this step later). 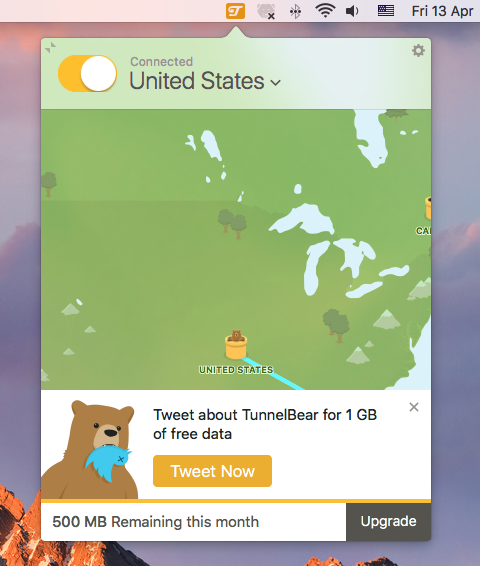 Head to the Launchpad and search for the app you want to delete. Hold down its icon until it begins to jiggle and show X on the upper left corner. 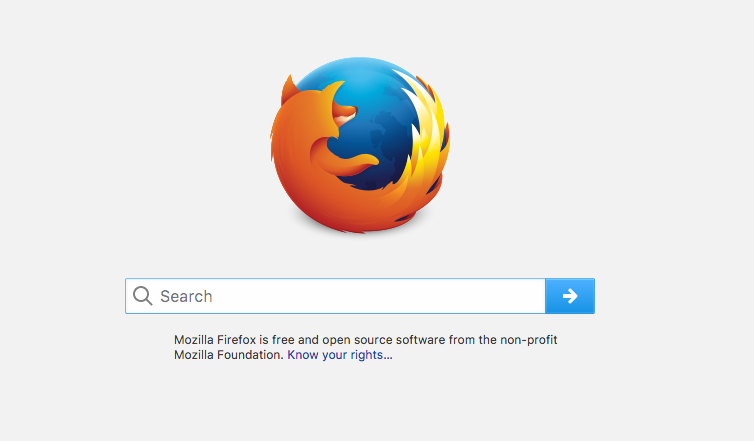 Click the X icon and then click Delete in the pop-up confirmation dialog. Once you choose Delete in the dialog, the uninstall will be processed instantly. Note that if the app doesn’t show a delete button, then it cannot be uninstalled by this way. 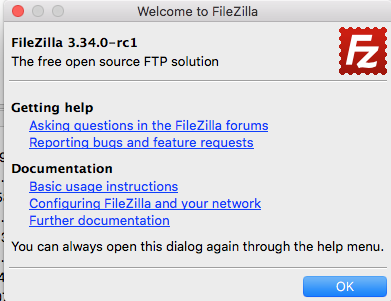 Open the Finder, click Go from the Menu Bar, and choose Go to Folder. Enter the following path: /Library and hit Enter key to open it up. Type Beatport Pro in the search box, and click the Library in the Search: bar. Notice: Mac beginners should be very cautious when manually deleting app vestiges in the hidden /Library and ~/Library. If other app components or system files are deleted mistakenly, those affected app or even the macOS could not work normally. Another question is: how do you know if you have deleted all Beatport Pro leftovers or not? After all, some ambiguous components could not be found by simply searching the app name. If you have difficulty in tracing down all leftovers, a professional uninstall helper will definitely save your trouble in the deletion. After deleting Beatport Pro and its leftovers to the Trash, you can finally take the last step – emptying the Trash. Notice: the act of emptying the Trash is irrevocable, and everything dropped in the Trash will be deleted from the system instantly and permanently. So, make sure you haven’t mistakenly throw anything into the Trash. So that’s the end of the manual uninstalling process and also the end of this article. 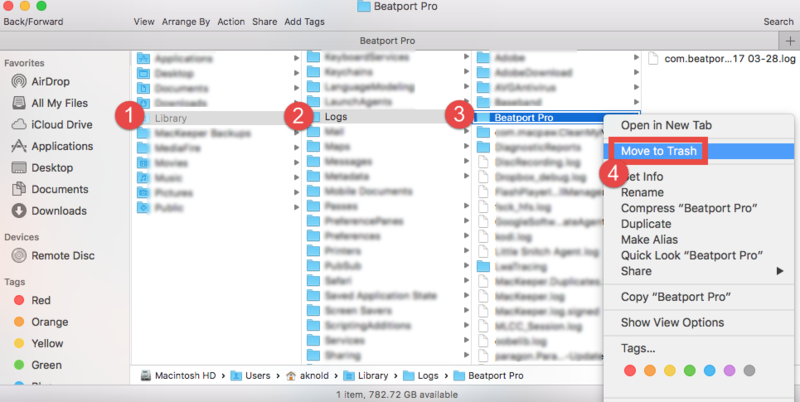 We hope the tricks and detailed instructions involved in this removal guide could help solve the problems you encounter when trying to remove Beatport Pro for Mac. Anytime you fail to get rid of unneeded app on Mac computer, take the correct steps to uninstall it manually, or more directly, try Osx Uninstaller for better experience.